The FATDAPTER® modular mounting system allows quick and safe attachment of Fatbike forks to a 100mm standard roof rack. No need to swap parts, use tools or disassemble any fork mount rack to adapt it to your Fatbike. The only 1pc solid body, fully machined, non-welded, non-tubular, non-painted roof rack adapter on the market. Machined from a solid aluminum block and anodized for corrosion protection. Why purchase a new rack??? 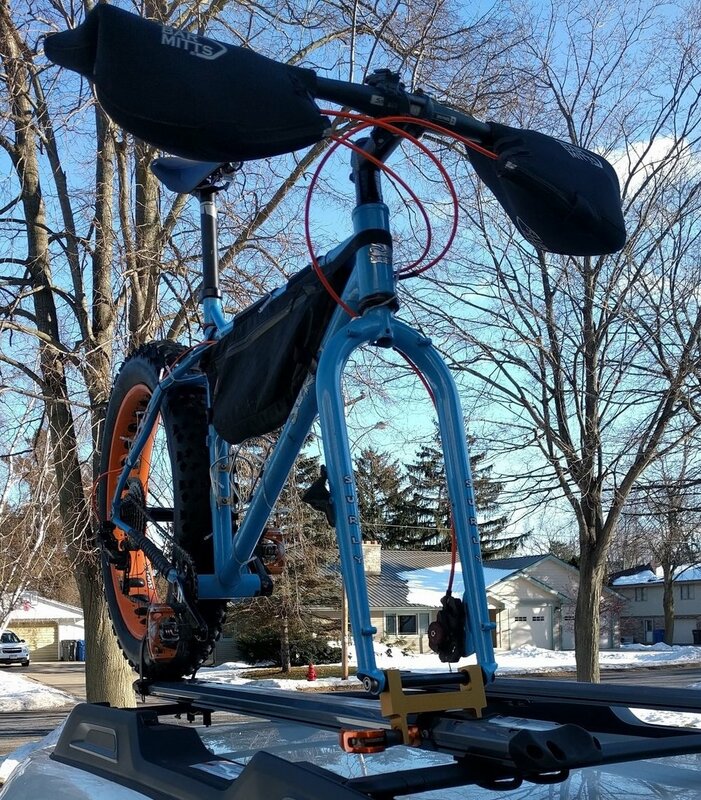 Why purchase a new roof rack for your Fatbike? To utilize your fork mount rack for your fat-bike, you’ll need an adapter. 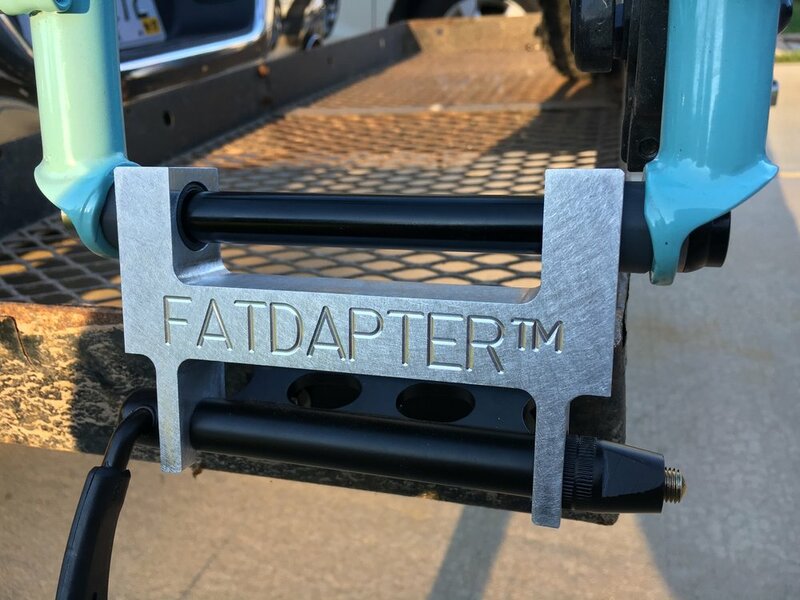 FATDAPTER is a quick, reliable Fatbike rack adapter for fork mount racks. Versions available for Fat Bikes with skewer forks or thru axle forks.